We are a road bike cycling club offering regular weekly rides. In all our rides we stress the enjoyment and social nature of cycling. We love to ride. We love to connect. 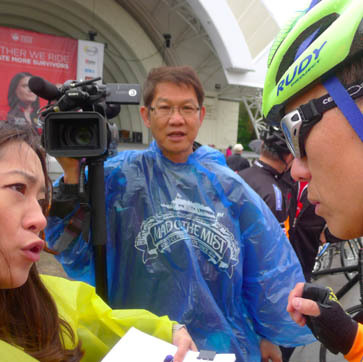 We are Toronto Chinese Road Bike Club! Our friendships are driven by a passion for cycling. We climb together and we speeding down in a pack. There are beginners and advanced riders, but we are ride with fun together. We enjoy pushing ourselves and our machines for a tough workout as well as leisurely scenic spin. Fun stories on the road, tackles on the machine, and a good laughs are always the end of our ride. Click Here to see a list of special events. Click here to check out our media coverage.